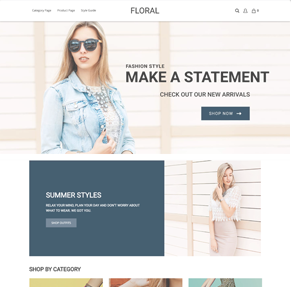 Floral is a polished, fully responsive theme perfect for any sophisticated store that wants to stand out while keeping things simple. 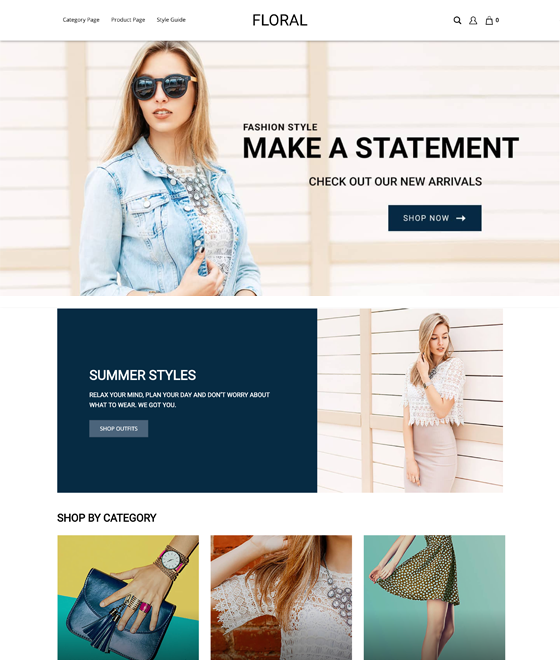 With a minimalist top navigation menu and a prominent full-width header image, Floral allows for strong branding to capture the focus of your store. Fully responsive design adjusts to any device for more mobile and tablet sales. Create the page of your dreams with drag-and-drop ease. 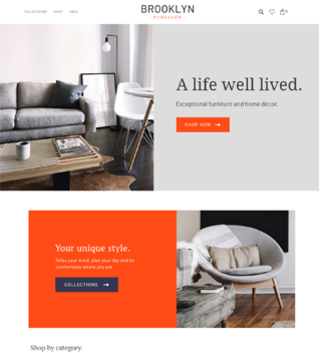 Choose between a customizable slideshow or single graphic for an impactful homepage experience. Designed by ecommerce experts for a shopper-friendly experience. Easily integrate Plugins like Live Chat for added functionality. Optimized for a crisp look on high resolution displays. 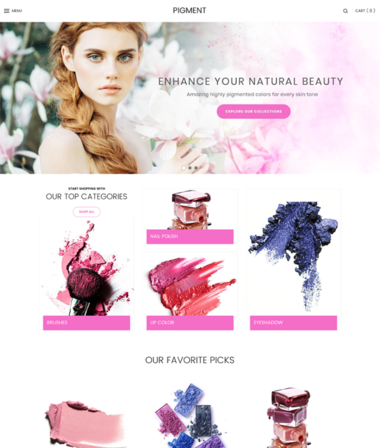 Unlike most ecommerce platforms, our theme code is fully supported by an in-house team of developers and designers. 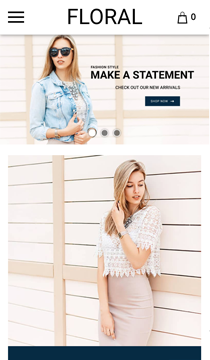 A beautiful and cohesive design experience through the home, category, product, shopping cart, one-page-checkout, and thank you pages. Built for the most popular browsers today with graceful fallbacks to work with older browsers. Our team of on-demand experts can help you customize your theme. 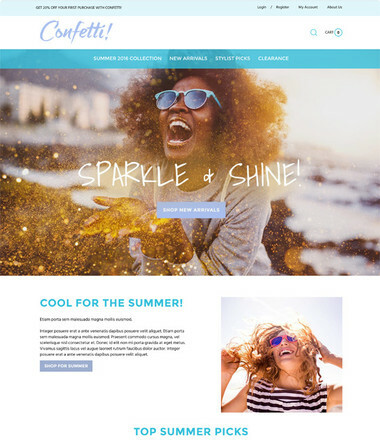 Talk to one of our Design Consultants about working directly with a designer or implementation specialist to turn your original theme into a custom theme that fits your business. We have a number of theme services that will make this process fast and easy - not to mention beautiful.